Urban green spaces like parks, urban forests, and greenways are often not equally available to everyone. “My research focuses on the nexus between urban nature, social justice, and health as it relates to factors such as income, race, and socioeconomic status,” says U.S. Forest service biological scientist Viniece Jennings. 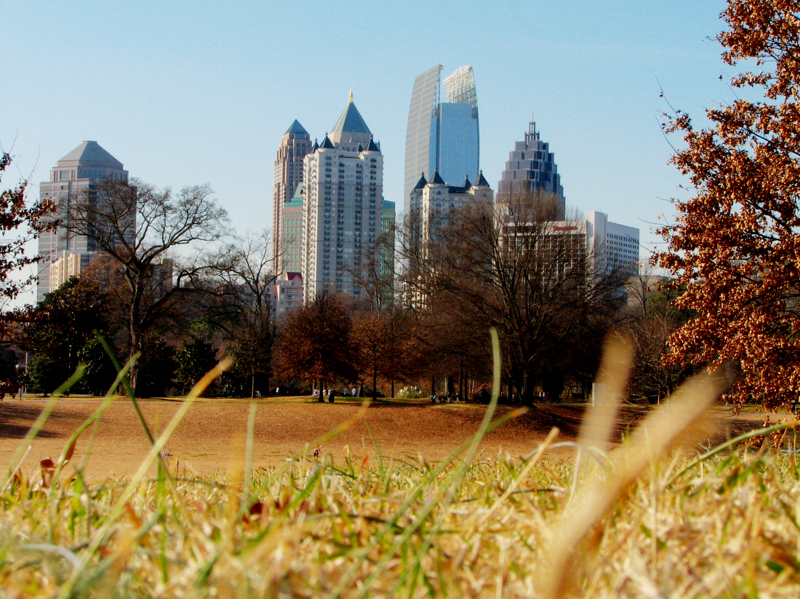 Located one mile from downtown Atlanta, Piedmont Park includes 185 acres of green space, trails, and a lake for fishing and boating. Photo by Jon Gos. Existing research has described the benefits of urban green space on environmental conditions like stormwater management and heat hazard reduction. Jennings has extended that work to include physical activity, social cohesion, and stress reduction. In many urban areas, population growth and development are projected to continue. This will put greater demands on existing – or shrinking – green space over the coming decades. Jennings and her colleagues are working to understand who benefits from green space — and perhaps more importantly, who doesn’t. And if urban green space is lost, are some neighborhoods impacted in disproportionately negative ways? 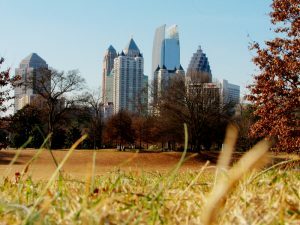 To explore this topic, the scientists reviewed studies that focused on emerging issues in urban ecology and connected different types of urban green spaces and human health. Their review article was published in Population and Environment. Multiple studies in the article found that parks and other public green spaces are often less available in neighborhoods with lower socioeconomic status or a high proportion of African American or Hispanic residents. It also cites studies documenting that discriminatory zoning policies have led to social and economic segregation, which can contribute to environmental hazards such as pollution in low-income neighborhoods. 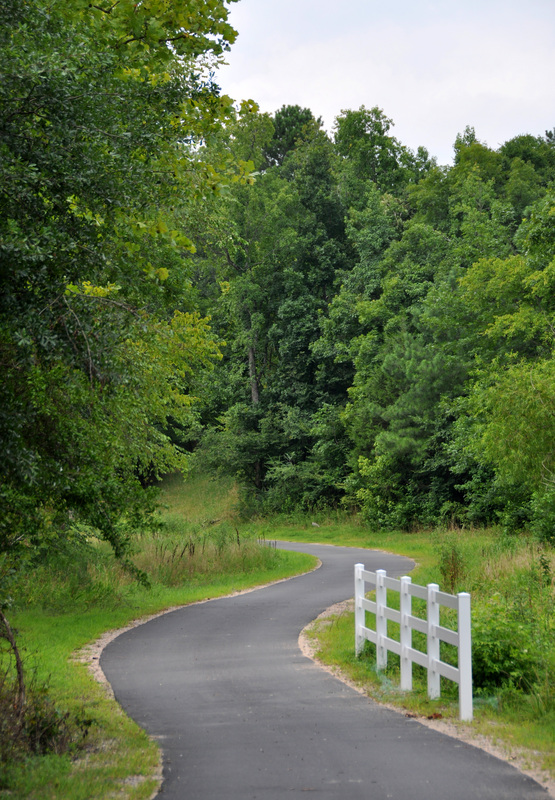 The 33-mile Neuse River Greenway provides paved biking and walking paths for North Carolina residents in Raleigh, Wake Forest, Knightdale, and Clayton. Photo by James Willamor. These observations can vary by the quality, location, and type of green space, along with the health outcome. For example, it can be difficult to tell whether exposure to green space and its amenities improves health and well-being or if healthy people tend to seek out neighborhoods with these conditions. The review noted that green space initiatives can increase property values but can also lead to concerns about gentrification. Urban residents may not be aware of the positive effects of tree cover — and sometimes even remove trees due to fears of storm damage or concerns about public safety. Fully engaging local communities about green space designs and access can help all residents benefit from these public investments. The article highlighted findings that suggest urban planners and decision-makers can re-balance their cost-benefit analyses when it comes to green space. Adding in potential health benefits — rather than aesthetic benefits alone — might tip the scales toward more green space or green infrastructure.